Dogwood (Cornus Florida) other names: Bitter Redberry, Box Tree, Boxwood, Budwood, Cornejo Florido, Cornel, Cornelian Tree, Cornouiller Américain, Cornouiller d’Amérique, Cornouiller à Fleurs, Cornouiller à Fleurs d’Amérique, Cornouiller de Floride, Cornus, Cornus florida, Dog-Tree, Dogwood, False Box, Green Ozier, Osier, Rose Willow, Sanguiñuelo Florido, Silky Cornel, Swamp Dogwood. Belonging to the family Comaceae of genus Cornus, dogwood is generally a shrub or small woody deciduous tree. The species bears oval shaped leaves that are prominently veined and pointed at the end. The leaves of dogwood have a deep green color on the upper surface, while underneath it is whitish and usually velvety. The shrubs/ trees bear tiny greenish-white flowers in May-June. These diminutive blooms form a central cluster that is surrounded by four ostentatious, serrated, creamy white bracts that resemble petals. The flowers of dogwood produce fruits that are red in color. 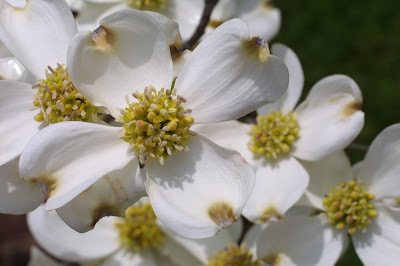 When dogwood started blooming during the spring, the attractive creamy white bracts that have resemblance to petals gave a signal to the native Indians that it was the right time to plant corn. 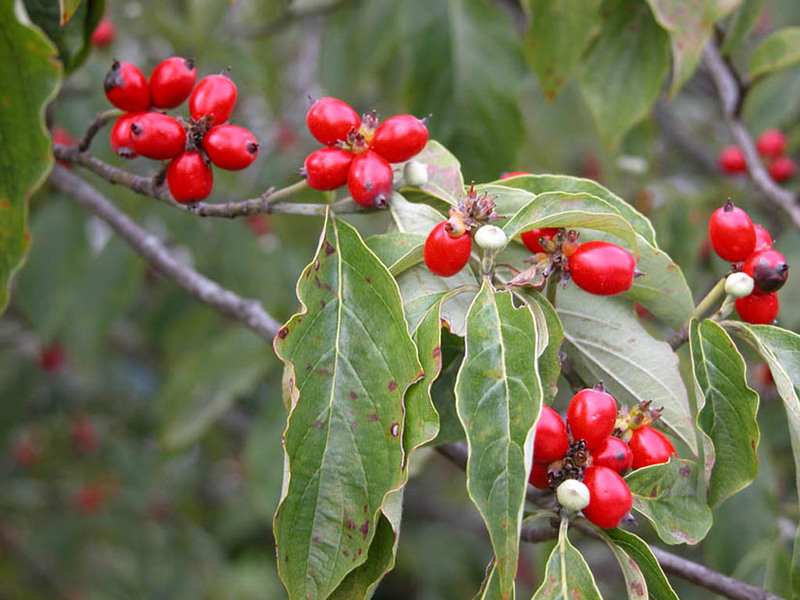 In addition, the dogwood tree was also a source of medications for these Native American Indians. They boiled the bark of dogwood in water and utilized the extract to ease sore and painful muscles. In addition, they also prepared an herbal tea with the bark to stimulate perspiration and, thereby, cure a fever. In fact, this traditional remedy was also adopted by physicians and herbalists at a later period. When the southern ports were blocked during the American Civil War making it difficult to obtain cinchona bark - the source of quinine used in treating malaria, people used the bark of dogwood as an effective substitute. Dogwood is indigenous to North America and is found growing over a wide expanse from southern Ontario and Maine south to Florida and Texas and to Kansas in the west. In horticulture, flowering dogwood thrives well in damp, acidic soil in a place which receives some amount of shade in afternoons, but adequate sunlight during the mornings. Dogwood cannot tolerate too much heat or when grown close to heat sources, for instance, near parking lots or air conditioning compressors. 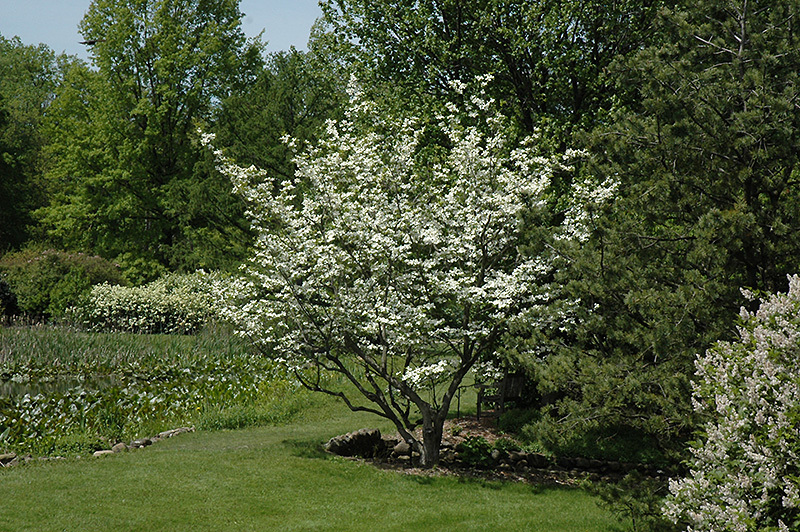 In addition, dogwood also has a low tolerance of salinity. When grown in urban as well as semi-urban locales, sufficient care ought to be taken not to impose mower damage on the trunk or roots of dogwood trees, since this enhances the vulnerability of the tree to diseases as well as invasion by pests. Dogwood is a plant. People make medicine from the bark. Historically, dogwood was sometimes used for treating malaria instead of the drug quinine. Dogwood is still used today as medicine, but not very often. The dogwood tree has a number of therapeutic properties and, hence, it has been traditionally used to treat a number of medical conditions. Earlier, the bark of the dogwood tree was extensively used to break a fever as well as a substitute for quinine for treating sporadic or recurring fevers like malaria. These days, the herbal tea prepared with dogwood bark is mainly considered to promote appetite. However, there is no scientific proof that any of these uses of dogwood bark are effectual. People use dogwood for headaches, fatigue, fever, and ongoing diarrhea. Dogwood is also used to increase strength, to stimulate appetite, and as a tonic. Some people apply dogwood directly to the skin for boils and wounds. In addition to its remedial uses, blooming dogwood trees are among the most popular ornate specimen trees in the eastern regions of North America. Dogwood may be used as a framing tree or, alternately, as a background tree. They look wonderful when grown beneath huge oak and pine trees. In effect, dogwood shrubs/ trees are one of the first springtime bloomers, cheering up the landscape in company with other species, such as spireas, azaleas, redbud and forsythia. Since the dogwood trees have a thick crown, blooming dogwood provides excellent shade. Moreover, owing to the small structure of dogwood, dogwood is also of use even in the smallest backyards. The timber of the dogwood tree is extremely tough and to a certain extent it is valued in the trade of forest products for things, such as commercial spindles and loom shuttles. During the days of colonialism in the United States of America, an herbal tea prepared with the bark of dogwood tree was known to alleviate fevers. The attractive red fruits of the dogwood are a favorite food for the squirrels and birds. Be careful not to confuse it with Jamaican dogwood. It is not known if dogwood is safe. Pregnancy and breast-feeding: There is not enough reliable information about the safety of taking dogwood if you are pregnant or breast-feeding. Stay on the safe side and avoid use.